KTM is an Austrian motorcycle manufacturing company that is owned jointly by Bajaj Auto Limited and CROSS Industries AG. The KTM motorcycles are highly popular in the Indian as well as global two wheeler markets. KTM has been praised for its sporty and tough off-road motorcycles that offer brute power along with gorgeous looks that is also accompanied with aggressive stance. Apart from being a highly acclaimed off-road bike manufacturer, KTM has lately entered the markets of street bikes as well as swanky sports cars. KTM offers many capable bike models in India among which the RC series of motorcycle models are highly popular. KTM has updated all the RC as well as Duke series of motorcycles in India for the year 2016. Here we are going to place the new KTM RC 200 side by side with the new KTM RC 390, in order to look at these dashing sports bikes and also their new updates. The KTM RC 200 comes with several new updates including an all new highly stylized twin headlights, new steel fuel tank, clips and switches on handlebars, comfortable split seat for great support for both the rider and the pillion rider, an integrated pillion seat along with the bodywork lines for additional comfort, new windshield with advanced design, new attractive aluminum triple clamps, compact underbelly silencer, attractive integrated on the rear view mirrors that are mounted on the fairing, a sleek rear part and eye-catching LED tail light. Its high seating position offers a sportier feel, while its pushed back foot pegs ensure an aggressive riding position. The KTM RC 390 on the other hand, comes with a number of striking styling elements that makes it a super stylish model in its own league. It comes with very well designed body panels all over, eye-catching new twin headlights, aggressively styled fairing, new clip on its handlebar as well as switches inward moved foot pegs for a more comfortable riding experience, new windshield with aerodynamic advanced styling, aggressive riding position, new more ergonomic two-part seat, new stylish steel fuel tank, a compressed silencer among other features. The motorcycle also gets a thin tail along with well designed number plate holder, rear view mirrors with integrated turn blinkers, new aluminum triple clamps, well integrated and well supported pillion seat, new bodywork and pedals, new footrests, frame sections in flaming orange and many other highly appealing premium design features. The updated KTM RC 200 comes powered by the same 199.5 cc, 1-cylinder 4-stroke, liquid cooled petrol engine. This petrol mill that comes empowered with spark ignition is a capable enough to belt out a peak power output of 24.65 Bhp along with a top torque of around 19.2 Nm. The powerful motor has been skillfully paired with a 6 speed claw shifted gearbox. The bike offers great powerful ride along with a top speed of 140 km per hour. The bike has the ability to sprint from 0 to 100 km per hour in just 9.30 seconds. The bike offers the fuel efficiency of around 25 km per liter in the city roads laden with traffic, while returning a mileage of around 35 km per liter on the highway stretches. On the other hand, the RC 390 comes packed with a very potent 373.2 cc, singe cylinder 4-stroke water cooled petrol mill. This petrol engine also comes equipped with an electronic fuel injection technology along with digital ignition timing adjustments. 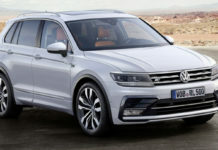 The engine gets coupled with a claw-shifted 6 speed transmission gearbox and has the capability to generate a maximum power figure of 43 bhp along with a max torque output of 35 Nm. This sports bike offers great punchy performance that is meant to please the biking aficionados. It can race to the speed level of 100 km per hour from a standstill position in just 5.79 seconds, while offering a great top speed of 175 km per hour, making it a superb choice for the speed hungry audience. The RC 390, despite its power and speed, offers a decent mileage of around 20 km per liter in the city conditions and a fuel efficiency of around 30 km per liter on the highways. The KTM RC 200 comes with a highly effective braking system that goes with the rest of its premium quality. The sports bike comes braced with 300 mm disc brakes with 4-piston radial mounted calipers for its front wheel, while single-piston floating calipers 230 mm disc brake does the duty on the rear wheel. The bike comes with a WP 43mm upside down forks suspension system for its front, while at the rear it is fitted with WP mono-shock absorbers suspension system. The motorcycle model comes riding on a lightweight and reliable 17-inch bright orange colored alloy wheels that come wrapped by 110/70-17 tyre up front and 150/60-17 at its rear for superior road grip and excellent durability. The KTM RC 390 on the other hand, comes with the same superior barking system for great stopping power. The bike gets a 300 mm disc brake with 4-piston radial mounted calipers for the front wheel, while the rear wheel gets braced with single piston floating calipers 230 mm disc brake. In order to ensure a precise and fast braking ability, the RC 390 comes with a premium Bosch ABS system. For a smooth and superb ride quality, this powerful sports bike uses a WP upside down telescopic forks suspension is employed upfront, while the WP mono-shock absorbers suspension works at the rear. 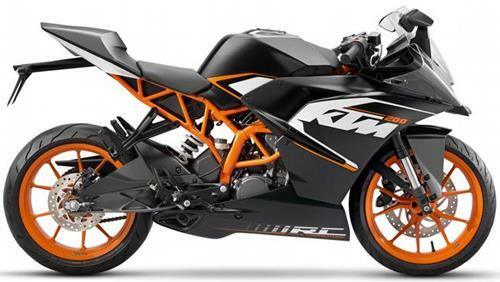 The KTM RC 200 is offered for sale in the market in a body color scheme of Black/Orange. This sports bike has been priced by KTM at around Rs. 1.66 lakhs. On the other hand, the KTM RC 390 is available in the market in a Black/White body color. The powerful RC 390 comes tagged at around Rs. 2.14 lakhs (both prices, ex-showroom New Delhi).